England’s greatest footballing achievement is of course, the lifting of the World Cup trophy by Bobby Moore at Wembley in 1966. Many of Moore’s team-mates, such as Gordon Banks, Bobby and Jack Charlton, Martin Peters and Geoff Hurst, are household names feted throughout the country, and even the world. But what of the rest of the players? Some squad members, like Jimmy Greaves, have become household names without playing in the final. Greaves was the first choice England striker but after an injury in a group stage match against France he was left out and couldn’t regain his place even though he was fit for the final. Other team members, even though they played in the final, are destined to be the last ones on the list whenever a pub quizmaster asks for the whole team to be named. This article celebrates those team members. 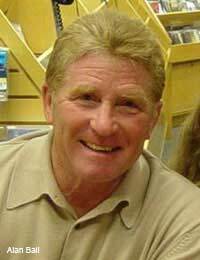 It seems odd to describe Alan Ball as a forgotten hero, when he played on well into the 1980s and then had a managerial career up to the end of the century. He was only 21 when he played in the 1966 World Cup. Ball had only made his England debut a year before, as he had caught the eye of Sir Alf Ramsey, the England manager, with his passing, tenacity and sheer hard work. In the formation that Ramsey had developed, his ‘Wingless Wonders’ needed energetic midfielders who could cover the middle ground, and Ball took the right hand side with Martin Peters on the left. In the final it was Ball’s outswinging corner that led to England taking a 2-1 lead with a quarter of an hour to go. When West Germany (the country was still divided at that time, with the Communist-controlled East Germany fielding a separate side in tournaments) equalised and the match went to extra time, Ball’s youthful energy was a critical component in keeping the other players going. The position Nobby Stiles occupied was deeper than the other three midfielders and it could be argued that the formation was more of a 4-1-3-2 with Stiles taking that ‘1’ position ahead of the defenders, in what we would call these days a holding midfielder, but was then referred to as ‘a spoiler’. Stiles was a terrier of a player, wholeheartedly committed to the game and with a frightening gap-toothed mouth, as he had to remove his dentures for matches. Some of his tactics wouldn’t be allowed today, but he was a most effective man-marker and England owed their position in the final to a large extent to Stiles’ shackling of Eusebio, Portugal’s main attacking threat and the tournament’s leading goal-scorer, in the semi-final. The abiding memory of Stiles is of his delighted toothless jig with the Jules Rimet trophy in his hands after the match. Fulham’s ‘Gentleman’ George Cohen owed his place in the final to Sir Alf Ramsey’s uncompromising stance on playing players who were in form. The first choice left back had been Jimmy Armfield, with over 40 caps at the time, but he had been injured before the World Cup and although fit again, Cohen was established as Ramsey’s man and held the place through the World Cup tournament and beyond. The ‘Wingless Wonder’ system relied on a modern, attacking style of full-back who could fill in as a winger when the wide midfielders, Ball and Peters, were occupied in the middle. Cohen was perfect for the job, quietly and without fuss getting on with doing exactly that, having the ability to surge past on the overlap and provide an extra attacking option. One of the many memorable photographs of the World Cup is of Sir Alf Ramsey trying to stop a shirt swap between Cohen and an Argentinean player at the end of the quarter-final, after which Ramsey labelled the Argentineans ‘animals’. Ray Wilson was widely accepted by many as one of the best left backs in the world and at the time of the World Cup win he was the oldest player on the pitch at 31 years old. His strength and dependability made him the perfect support to Bobby Moore, even to the extent of being one of the players holding Bobby Moore aloft in the post-presentation pictures! In the final it’s unfortunate that his misplaced header led to West Germany taking lead on 12 mins but his more important contribution was to carry on and play his part in containing the West German attack. A knee injury two years later effectively ended his England career and his place out of the spotlight was consolidated by his decision to become a successful undertaker when he stopped playing, rather than carry on in the game. Liverpool’s Roger Hunt was a real poacher, a predator who had a gift of being in the right place at the right time, much like Gary Lineker. Although many people at the time compared him unfavourably with the skilful Jimmy Greaves, when Geoff Hurst started knocking on the England door it was Greaves who made way (partly due to injury as discussed) not Hunt. He scored three goals in the World Cup tournament and although he didn’t score in the final, he played an important role in the disputed third goal, when the ball bounced over the line (or on the line, if you are German). Geoff Hurst has always referred to Hunt’s reaction; that Hunt, practically on top of the ball, would have poked the ball home if it wasn’t already over, and that fact that he wheeled away to celebrate proves the point. Choosing who to include here and who to leave out was a difficult task. Martin Peters, for example nearly made it in but in the end was deemed famous enough not to be a Forgotten Hero. Alan Ball caused similar nail biting and pulling out off hair as well. However, after the choice had been made here, it was discovered that, as a Millennium gesture, the Queen had awarded MBE’s to five of the World Cup winning side who had not received any honours, and the same five names came up.